Macclesfield Town moved up to third in the Conference table thanks to Danny Whitaker's second half goal. The hosts had early chances as Paul Turnbull fired over and Chris Holroyd shot wide, while Malachi Lavelle-Moore headed straight at Martin Rice. Holroyd also had a goal disallowed for offside, while at the other end Ryan Bowman saw his header blocked. Whitaker netted his first goal of the season when he found room to fire past Rice from inside the box. Macclesfield, who have a game in hand, are now seven points behind leaders Barnet, who were beaten in the last minute at Bristol Rovers. Match ends, Macclesfield Town 1, Torquay United 0. Second Half ends, Macclesfield Town 1, Torquay United 0. Foul by Malachi Lavelle-Moore (Macclesfield Town). Levi Ives (Torquay United) wins a free kick. Foul by Adriano Moke (Macclesfield Town). Offside, Macclesfield Town. Malachi Lavelle-Moore tries a through ball, but Malachi Lavelle-Moore is caught offside. Liam Hogan (Macclesfield Town) wins a free kick. Attempt saved. Luke Young (Torquay United) right footed shot from outside the box is saved. Offside, Macclesfield Town. Adriano Moke tries a through ball, but Adriano Moke is caught offside. Substitution, Torquay United. Duane Ofori-Acheampong replaces Courtney Cameron. Attempt missed. Chris Holroyd (Macclesfield Town) header from a difficult angle on the left is too high. Attempt blocked. Courtney Richards (Torquay United) right footed shot from outside the box is blocked. Attempt missed. Krystian Pearce (Torquay United) header from the left side of the box misses to the right. Assisted by Luke Young. Substitution, Torquay United. Elliot Benyon replaces Louis Briscoe. Offside, Torquay United. Aaron Downes tries a through ball, but Aaron Downes is caught offside. Courtney Cameron (Torquay United) wins a free kick. Attempt missed. Ryan Bowman (Torquay United) right footed shot from outside the box misses to the left. Hand ball by Luke Young (Torquay United). Goal! Macclesfield Town 1, Torquay United 0. 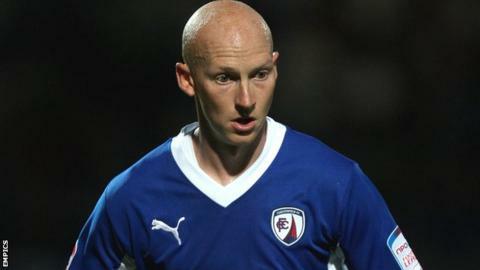 Danny Whitaker (Macclesfield Town) left footed shot from the right side of the box to the bottom right corner.